The best way to determine valuations is to go to a postcard or paper show where you can check the retail price of similar postcards. If your postcards are for sale, the dealers in attendance might make you an offer. Look at our show calendar for a list of upcoming shows in Ontario. Another option is an antique show where there are often postcard sellers. The Wayback Times web-site lists many of the antique and collectibles shows in Ontario each month.Like all ‘antiques’, the value of vintage postcards is really determined by the purchaser. Postcard dealers set retail prices based on the age, subject, type and condition of a postcard. To some buyers the price might be acceptable but to others, too expensive. At a postcard show you can usually purchase postcards from $1.00 for ‘modern’ postcards to over $50.00 for the unique and special ones. Early 1900’s lithographed cards tend to sell from $4.00 – $6.00. ‘Newer’ postcards from the 1930s and later eras are likely available for under $5.00. A dealer’s buying price is based on the resale price, their current inventory and how quickly the postcard might be sold. When selling postcards to dealers, expect 50% or less of the retail value as a possible offer.Worn corners and creases reduce the value and some purists balk if there is writing on the view side. Views that would have been abundant, such as of a big city like Toronto for example, tend to be less expensive than those of a smaller town. Postards that have an additional specialty such as an advertising message, a novelty applique, mechanical component or other unusual aspect of construction often command a premium. Real Photo Postcards (RPPCs) are the most expensive. A photograph with a postcard back, they were usually produced in very small numbers by itinerant photographers who toured towns and villages taking photos of people, places and ‘disasters’ in the hopes of selling them as postcard views. 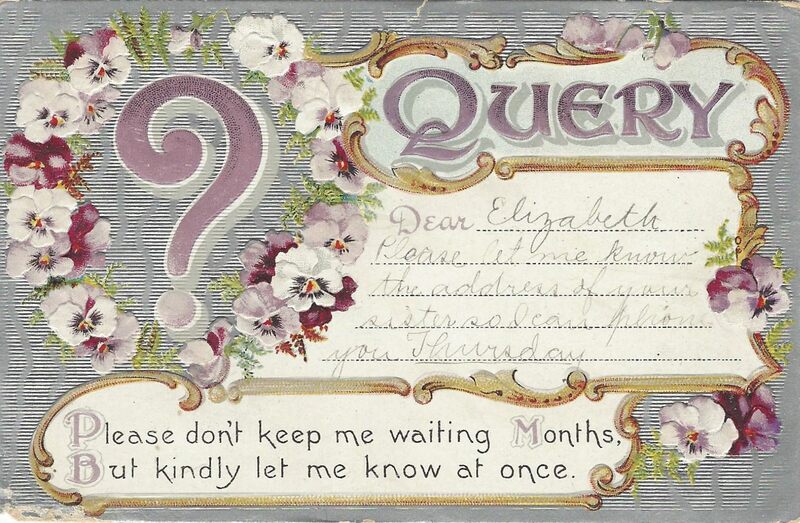 If there is a postal cancellation or significant message on the back that adds to the postal or social history, it may increase the value of the postcard. Another option for unwanted vintage postcards is to donate them to a museum or related historical society. 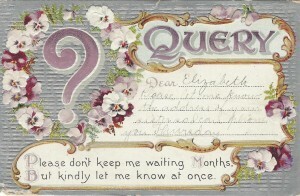 Many of the historical views on their web archives are old postcards. PLEASE!! !, DO NOT TOSS old postcards. Find them a good home.A Google search for ‘postcard values’ will turn up more general commentaries on the subject. A look through any of the postcard auction sites, EBay in particular, will give you an idea of pricing as well. Put the topic of your card into an EBay search and in ‘collectibles, postcards’ you will find many to compare with yours. BCW Supplies web-site or search for BCW on Amazon or EBay. 3. What is the OLDEST POSTCARD? The postcard was born of ideas presented at the 1865 Austro-German Postal Conference. In 1869, Dr. Emanuel Herrmann, an economist in Vienna, convinced the Austrian postal authorities that a ‘correspondence card’ (Correspondenz Karte) for sending brief communications would be less cumbersome and more popular than mailing a letter in an envelope. Lost revenue from letters would be made up by the greater use of these government issued ‘postal cards’. On October 1, 1869 the first ‘postal’ was sold with a pre-printed stamp. One side was exclusively for the address with the other side blank for written communication. There were no illustrations or images on these cards. It is reported that 3 million were sold in Austria-Hungary in 3 months. Other countries soon amended their domestic postal regulations to allow ‘correspondence cards’; Germany in July 1870, United Kingdom in October 1870, Canada in 1871, other European countries from 1871-1873, and the United States on June 8, 1872. On July 1, 1875 agreement was reached at the first International Postal Congress allowing international use of ‘postal cards’.The ‘picture postcard’ was another 25 or so years in the making. In the late 1800s, businesses began to have their name and perhaps a small graphic image printed onto the address side of a ‘government postal’. These postcards are referred to as ‘pioneer postcards’ and appear until about 1897. The next era of postcards are the ‘Private Mailing Cards’ or ‘ Private Post Cards’ created when the postal services allowed private companies to make postcards. Stamps were no longer pre-printed, instead they were affixed by the sender. Postcard collectors call these ‘undivided back’ postcards as the regulations still required that one side be used for the address only and the other side for the message. From 1902 to 1907 (1904 in Canada) postal regulations were relaxed and the back of the post card was divided so that both the address and message were allowed on one side leaving the other side a blank canvas. The ‘Golden Age’ of postcards had begun. Error: Error validating access token: Session has expired on Friday, 12-Apr-19 20:21:58 PDT. The current time is Friday, 19-Apr-19 22:11:37 PDT.